Do you have blocks of text or bullet points that are easy to scan? If your website has a lot of text copy, find the unnecessary words you don’t need and cut those. Take that new copy and cut the copy that’s left in half again. This probably feels like the opposite advice, especially coming from a creative agency. Truth is, creative writing leads to wordy and unfamiliar written copy. Writing things in a clever way requires people to think (remember point 1? Elevator pitch cut in half!). If visitors are spending more time trying to figure you out they’re going to spend even less time shopping. In short, write as if you’re writing for a child. This will help keep things simple, easy, and to the point. Some of us took simple words and used a thesaurus to find us a word that would make us sound smarter in our essays. To write web copy, it’s the complete opposite. Think about your way of searching the web, if you’re looking for good clothes do you search “premium clothing garments”? Probably not, you’re probably searching “high-quality shirts” or something similar. 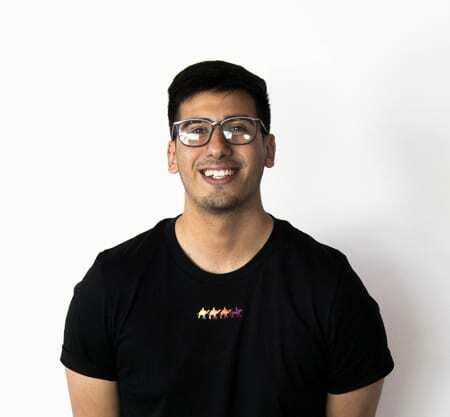 Writing your web copy with familiar words makes it easier for people to understand your message and follow what your selling. 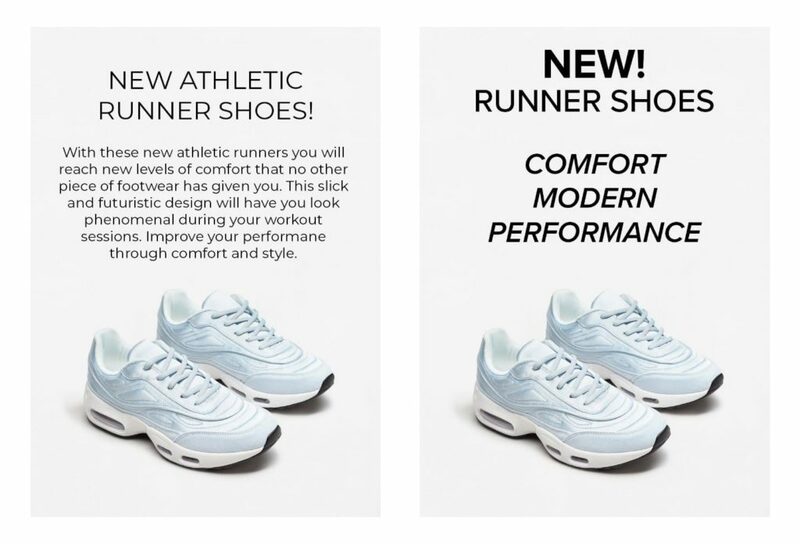 The web ads below are promoting the same running shoe and the same message. The only difference is the way the features are presented. Out of the two, which one grabbed your attention faster and which one did you read? If you have any questions about web content (pictures or text) or anything else, send us a DM on Twitter or Facebook! We’d love to hear from you!